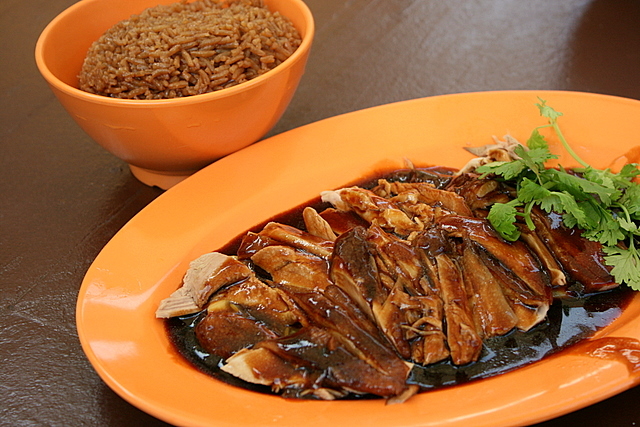 Cheok Kee is a name that many associate with duck rice. 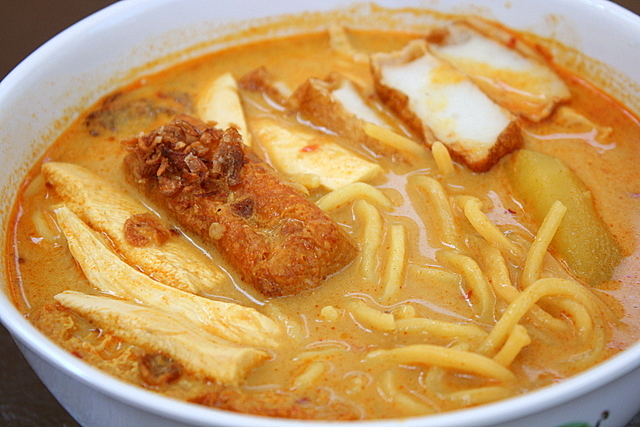 But did you know they also serve curry fish head and curry chicken noodles? 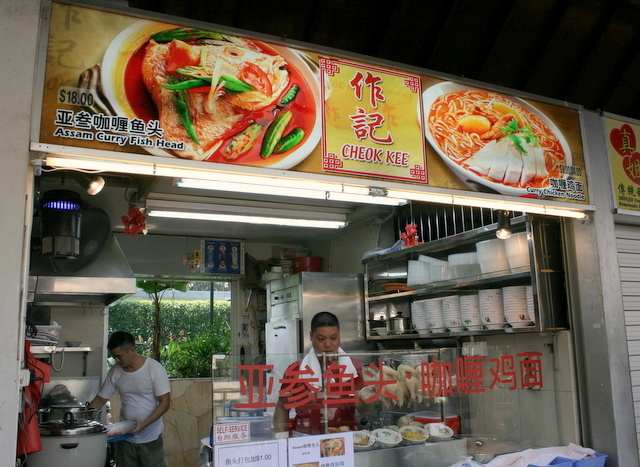 These were specialties offered at the famous Macpherson outlet, which they have closed. But you can still get it at their East Coast Lagoon Food Village branch. Fourth generation Cheok Kee chef Louis (that's him on the left) runs the newly opened stall at no.27, just diagonally across from the duck rice stall. The Assam Curry Fish Head (S$18) comes in a huge claypot that's bubbling hot. 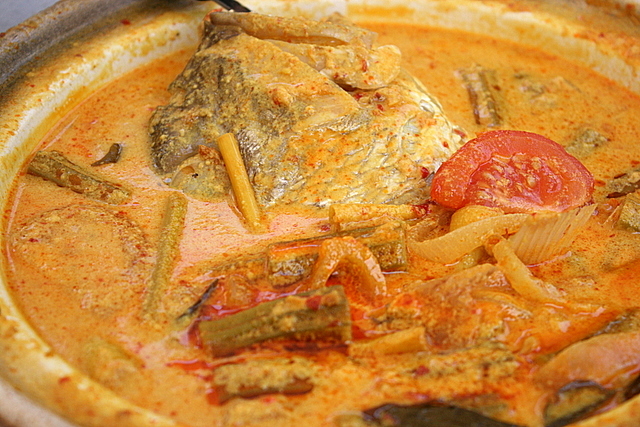 People who are used to the Indian-style fish head curry may find this version quite unusual. It's extremely rich, for one thing, with the generous use of coconut milk. The curry is also rather sweet, with the assam lending just a mild tangy note. A sweet and sour curry - some will like it, others maybe not. I thought it was quite nice with rice, but best enjoyed in cool weather. This is my messy claypot after I stirred things up. Look at how thick it is. 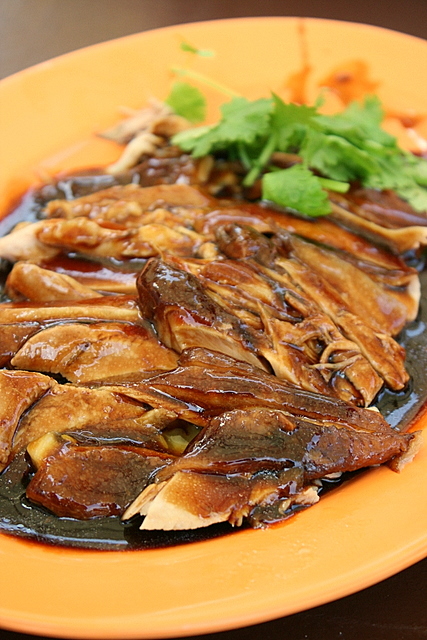 They use red snapper head, which is cooked until the flesh is just tender and not overdone. The vegetables too, are done just right. Not mushy or overcooked. This huge pot is enough to feed four to five adults, easily. What really took me by surprise were the curry chicken noodles (S$3-4). They were delicious! This dish is something I rarely eat because most places do a pointless job - bland, one-dimensional curry. 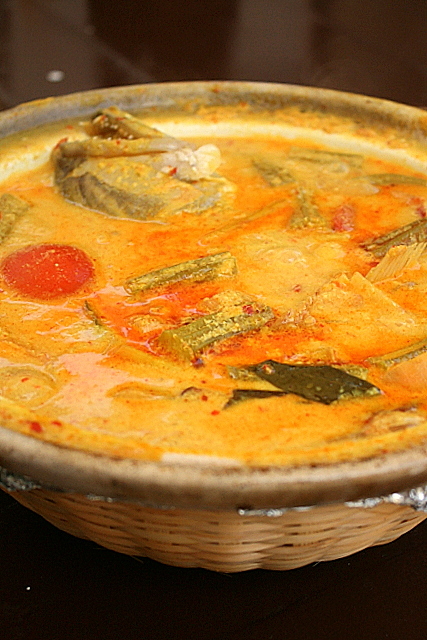 But this one is flavourful - you can tell they used good stock as the base, a nice curry blend, and some lemongrass. Louis revealed that he adds some pandan leaves too, for fragrance. How odd but it works! You can choose the type of noodles. 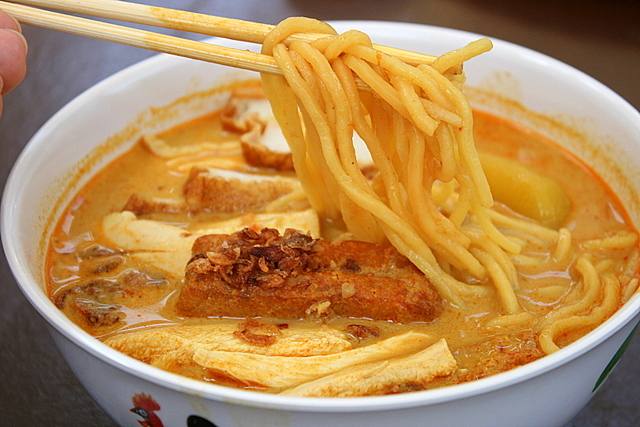 Yellow mee tends to be a bit starchy, so you can opt for beehoon or kway teow or any mixture. I would come back for this. Yum yum. Well, since we were at Cheok Kee, we had to try the braised duck rice as well. It certainly did not disappoint. Soft, tender and boneless duck meat. Slathered in a thick, lush gravy. Forgot to take shots of the chili - they serve both the sambal version and the watery sour type. Those were quite good, which makes the duck taste even better. The rice too, is infused with dark soy and dried mushroom. 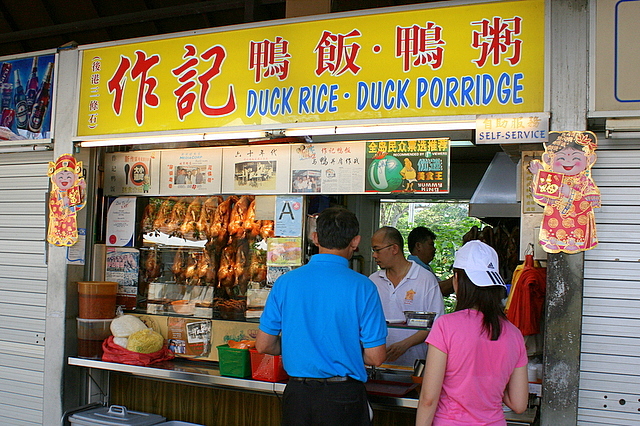 There's always a long queue at Cheok Kee's duck rice stall, especially on weekends. Their assam curry fish head and curry chicken noodle stall is just a few stalls to the right. Many thanks to Princeton for this recommendation, and to Louis for the kind invitation.